← Bougainville Law and Order News: Police could pull out of Buin town due to no support from the local communities. 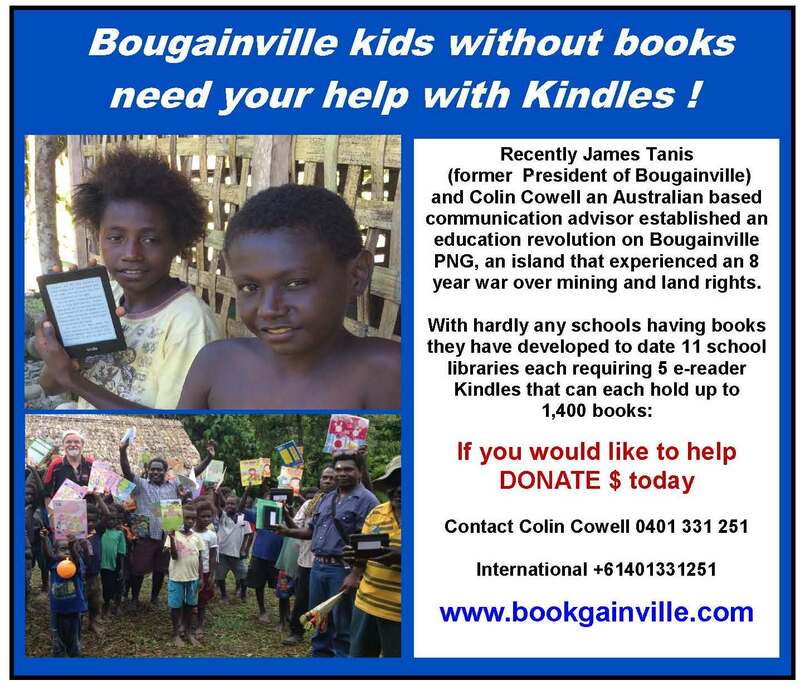 Bougainville Good News Story: What Rorovana has done is a good example of community engagement and equal participation. The road that locals have maintained. Picture: The locals who took part in the maintenance initiative. THE Rorovana community in Torau has teamed up with its leaders to maintain their only access road from Arawa to the two villages. According to their supervisor Raphael Moses, the road maintenance initiative started the previous week and is expected to be completed this week. The work, organised by the council of elders (COE), was to involve the community and the youths to create a means of income for the unemployed. This means that the funds allocated for the maintenance work by Central Bougainville MP Jimmy Miringtoro – about K200,000 – will be used to pay the locals who volunteered to do the work. Mr Moses said at this time of the year, seas are rough and the locals, most of whom depend on the catch and sale of fish to earn an income, must resort to other means. He said the road maintenance initiative is one such avenue. The council and leaders have decided that the money set aside for the road maintenance can be utilised by using the community to do the maintenance, which involves work such as bush and grass cutting, clearing, digging proper drainage system, patching and levelling portholes and muddy areas along the road. “We see that most times when we hire contractors, they only work for the money and they do not do the roads properly; that’s why we decided to involve the community so that when they are working, they can at the same time take ownership of what they are doing and do it properly since it is the gate way to other services,” said Mr Moses. “Also we engaged the unfortunate ones such as youths to earn an income.” Another local, Nathan Birio, said road infrastructure is an important service because through that other services will reach the people. He said the government should look into this more closely and what the people of Rorovana have done is a good example of community engagement and equal participation. About 180 people volunteered to work on the road, including men, women and youths.